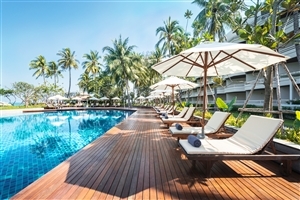 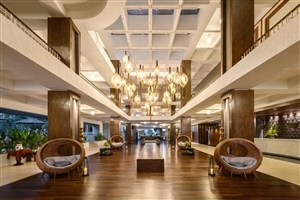 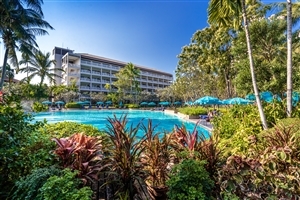 An expansive resort located on the sands of Cha Am’s stunning The Regent Resort Cha Am, is a large, lavish and luxurious hotel – perfect for a dream Thailand holiday. 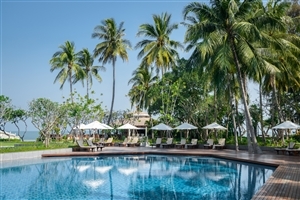 Comprising 560 elegantly appointed, functional guestrooms and suites, The Regent Resort Cha Am boasts epic vistas across the Gulf of Thailand, a refreshing setting that is reflected by the impressive attention to detail and quality furnishings. 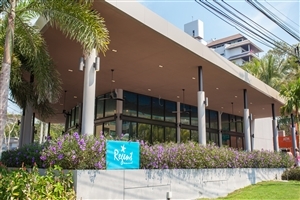 Choose from one of four fantastic on-site restaurants and bars at The Regent Resort Cha Am and marvel at the outstanding range of standard facilities that will ensure your stay is one of pleasure, convenience and enjoyment. 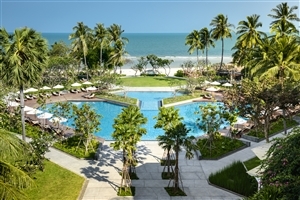 This resort sits amongst 40 acres of lush tropical gardens on the beachfront just 7 km from the centre of Cha-Am and 20 minutes from Hua Hin. 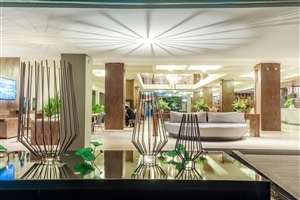 The guestrooms are divided between two separate wings each with their own reception and lobby. 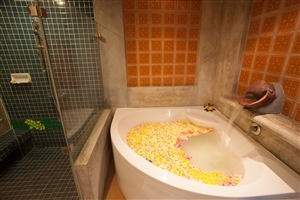 The Main Wing has comfortable guestrooms in an informal and relaxed setting. 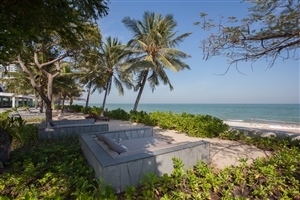 The Regency Wing has larger and more luxurious rooms and suites as well as Thai style villas on the beachfront. 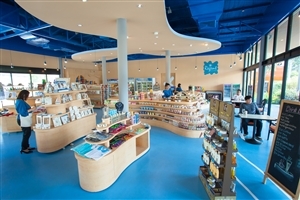 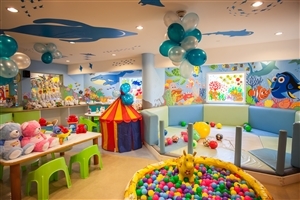 Recreational facilities are plentiful and particularly well suited to families. 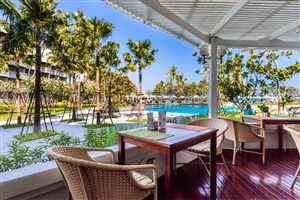 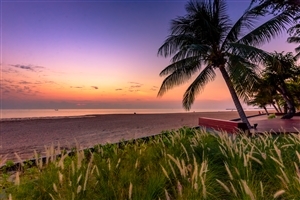 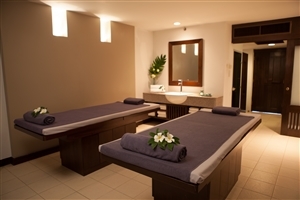 This is the ideal hotel for a relaxing stay in the charming resort of Cha-Am and represents excellent value for money. 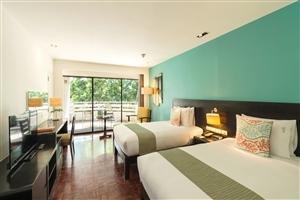 The Superior rooms at The Regent Resort Cha Am offer 32sqm of accommodation space and features generous standard amenities, including a comfortable daybed and a private balcony. 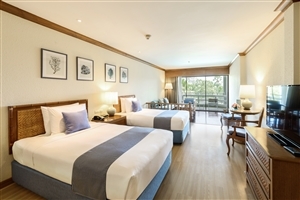 The Deluxe rooms at The Regent Resort Cha Am offers 32sqm of accommodation space and features spectacular views from the floor-to-ceiling windows and the private balcony. 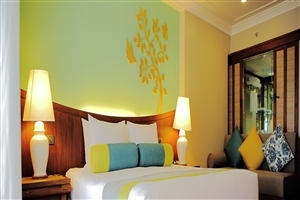 The Deluxe rooms are available with the choice of a king-size bed or twin beds. 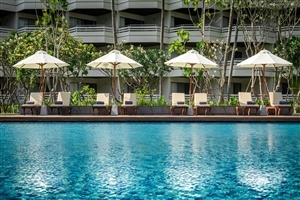 The Regency Garden rooms at The Regent Resort Cha Am offer 32sqm of accommodation space and come with a private balcony overlooking the lush tropical gardens. 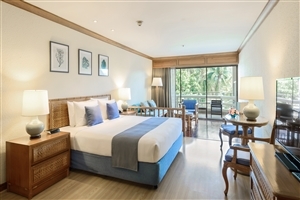 The One Bedroom Suite at The Regent Resort Cha Am offers 64sqm of accommodation space and features a separate bedroom and living room for added privacy. 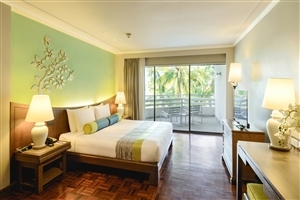 The One Bedroom Suite is endowed with sea views form the oversize balcony. 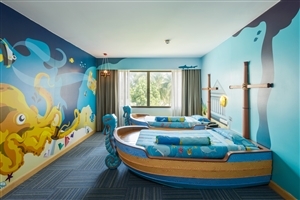 The Family Suite at The Regent Resort Cha Am offers 64-84sqm of accommodation space, including a master bedroom and a children’s bedroom decorated in a pirate theme. 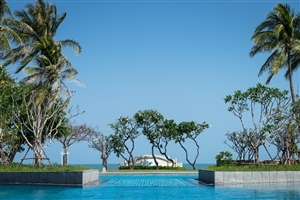 The Royal Regency Suite at The Regent Resort Cha Am offers 160sqm of accommodation space designed in traditional Thai decor and includes a dining area, a living space and a balcony that grants panoramic sea views. 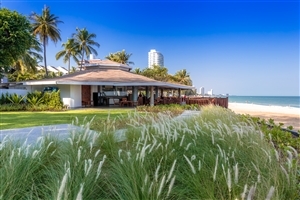 The Anavana Villa at The Regent Resort Cha Am offers 42sqm of accommodation space situated close to the sandy shores of the beachfront and includes its own private patio. 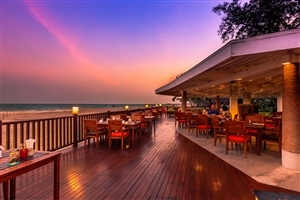 The Anavana Suite at The Regent Resort Cha Am offers 72sqm of accommodation space situated close to the sandy shores of the beachfront and comes with a living area and a private patio. 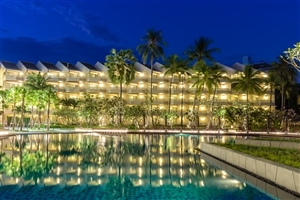 The Regent Resort Cha Am boasts an excellent array of facilities and recreational activities for guests to savour during their stay.